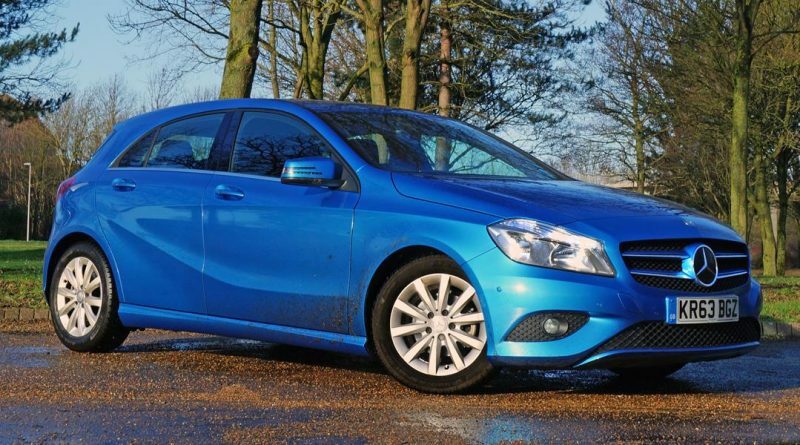 The A-Class has been around a while now, with the small Mercedes getting rave reviews for their A45 AMG super-hot hatch, but it’s the more frugal diesel versions that appeal to business buyers. Keen to take a larger share of the market, the German firm has glued an ‘ECO’ badge to the back of the car and slotted a 1.5-litre diesel engine under the bonnet. The headline figures this creates are impressive, with an official combined economy figure of 78.5 mpg and CO2 emissions of just 92g/km, making it car tax-free and leaving it with a Benefit in Kind burden of just 13 per cent. Those numbers place the A180 ahead of rivals from Audi and BMW, but slightly behind the Volkswagen Golf’s 85g/km and the face lifted Lexus CT200h’s class-leading 82g/km. Beyond the Renault sourced engine, changes to the A-Class include suspension that has been lowered by 10mm at the front and 15mm at the rear along with panelling under the chassis to improve under body aerodynamics, a new lower drag front grille, longer gear ratios to allow for lower engine revs at higher speeds, a brake energy recovery system and a smaller fuel tank to reduce weight. None of this is at the expense of performance though, with the benchmark zero to sixty dash taking an acceptable 11.3 seconds thanks to 107bhp of power and 260Nm of torque delivered by the 1,461cc turbocharged engine. The eco credentials don’t dent the desirability of the car either, remaining every bit as sharp as every other A-Class, maybe even a little better thanks to the slightly lower ride height. However, small 16-inch wheels don’t fill the arches in quite the same way as the wheels on some of the AMG models. There isn’t any skimping on things inside the cabin either, with the SE spec still coming fitted with goodies such as air conditioning, an iPad-like infotainment screen mounted high on the dashboard, steering wheel mounted controls, sports seats and plenty of chrome. It really is a very pleasant place to sit. There is also plenty of room in the rear, although three rugby players might find it a tad cosy. Going all the way to the back, there is an adequate sized boot although it is slightly less capacious than the BMW 1-Series. A full range of safety and security features is also present, from Adaptive Brake Assist with hold function and Hill Start Assist, through crash-responsive emergency lighting and on to tyre pressure monitors. Dynamically it’s similar to the rest of the non-AMG badged cars in the A-Class range, which means it’s reasonably precise but caters slightly more for the comfortable cushioning required for three-hour drives down the M4 rather than blasting round some of the more engaging roads of the Peak District. It’s all the better for that, as the AMG Sport models can be overly firm, crashing across every small bump or expansion joint. Instead a refined air of serenity turns up, although long undulations on the motorway never allow the suspension to fully settle while bigger bumps will still get transmitted through to the cabin. The green side of things doesn’t interfere with the drive, although there’s a rather rough sound to the engine until you’re well into the rev range. The turbo also doesn’t spin too freely at low revs, so you could find yourself slipping out of the power band as you change up a gear. Finally, that long gearing means you need to shift down more frequently than you might expect for overtaking or steeper inclines. That’s a small price to pay for the frugality that is on offer however, with a figure just under 60 mpg being recorded whilst driving the A-Class around Milton Keynes’ famous roundabouts and along the M1. 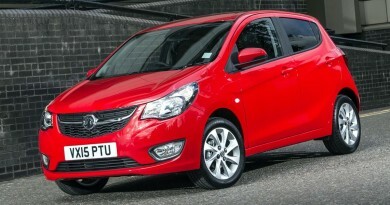 Combined with the low company car tax bill, it makes the A 180 ECO a tempting proposition.